The first alternative crypto currency that is based on the Ethereum code called Shift (SHF) has been launched and you can currently solo mine it if you are willing to check it out (source). Since Shift uses the same mining algorithm as Ethereum you can mine the coin using ethminer just like you will do with Ethereum, you can check our Quick Guide on Solo GPU Mining Ethereum on Windows if you need some help. The Shift client is based on geth (Go Ethereum Client) so it is pretty straightforward if you have used it for Ethereum already. The most notable difference with Shift is that they have launched a simple GUI wallet that works requires the shift client also working, but it makes things like knowing your balance and sending transactions much easier than just typing commands in the console. There are already pre-compiled binaries available for Windows and Linux for the client and the GUI wallet, so there is no need to compile from source to get things started. Update: The first mining pool for Shift is now available – shift.suprnova.cc, pool mining is the same as for Ethereum – help on pool mining. 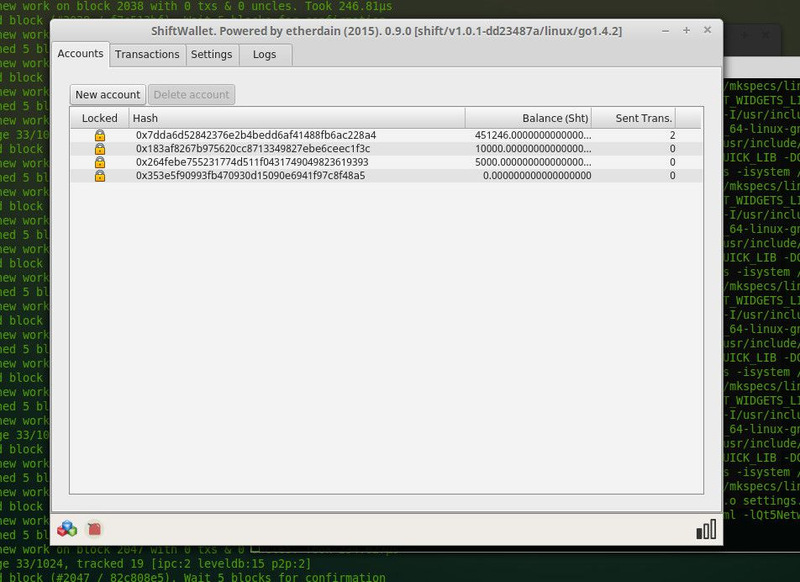 There is also a basic block explorer for Shift (SHF) now also available that may come handy, even for quickly checking your balance when you have no direct access to a local wallet for example. The first crypto currency exchange that has added Shift (SHF) is Bleutrade.